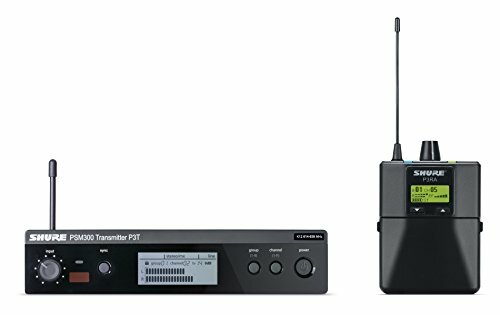 The Shure PSM300 Professional Stereo Personal Monitor Systems deliver detailed 24-bit digital audio and reliable wireless freedom to every corner of the stage. The Shure PSM300 stereo Patented Audio Reference Commanding ensures the clearest sound, with ultra-low noise and no artifacts. Dependable wireless coverage extends over 300 ft. (90 m) of range and eliminates dropouts. Easy to setup and operate, PSM300 systems offer one-touch frequency scan and sync to find and assign a clean wireless channel. Adjust the volume and use Mix Mode technology or stereo mode to create a personal mix from two channels of audio. 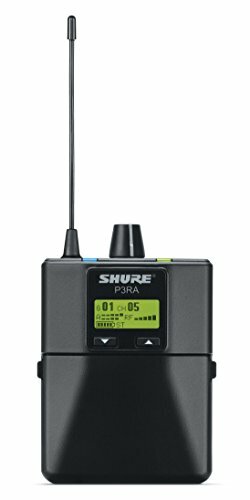 Professional systems include the P3RA body pack receiver, which features durable aluminum construction, advanced audio controls, and optional recharge ability with the SB900 lithium ion rechargeable battery. P3TRA215CL systems come with SE215CL Sound Isolating Earphones for detailed sound, enhanced bass and up to 37 dB of isolation.P3TRA215CL features SE215 Sound Isolating Earphones, all-metal components with optional receiver recharge ability, and more advanced receiver controls. Includes P3RA, P3T, SE215, rack mount and hardware kits, 1/4 wave antenna, BNC bulkhead adapter, BNC cable, power supply, battery adapter kit, 2 AA batteries, zipper bag, and user guide.